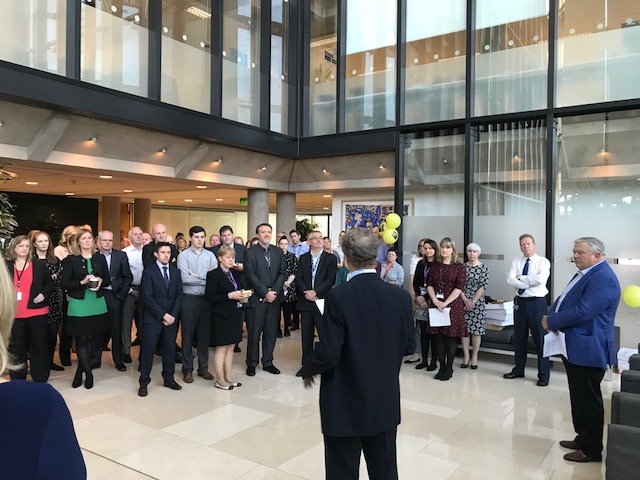 ChildFund was delighted to be guest of Bank Of Ireland Staff Third Word Fund (BOISTWF) at the Banks’ Grand Canal offices. It was a beautifully crisp and sunny autumnal morning in Dublin’s Grand Canal district as the city got back to normal following Hurricane Ophelia’s passing. 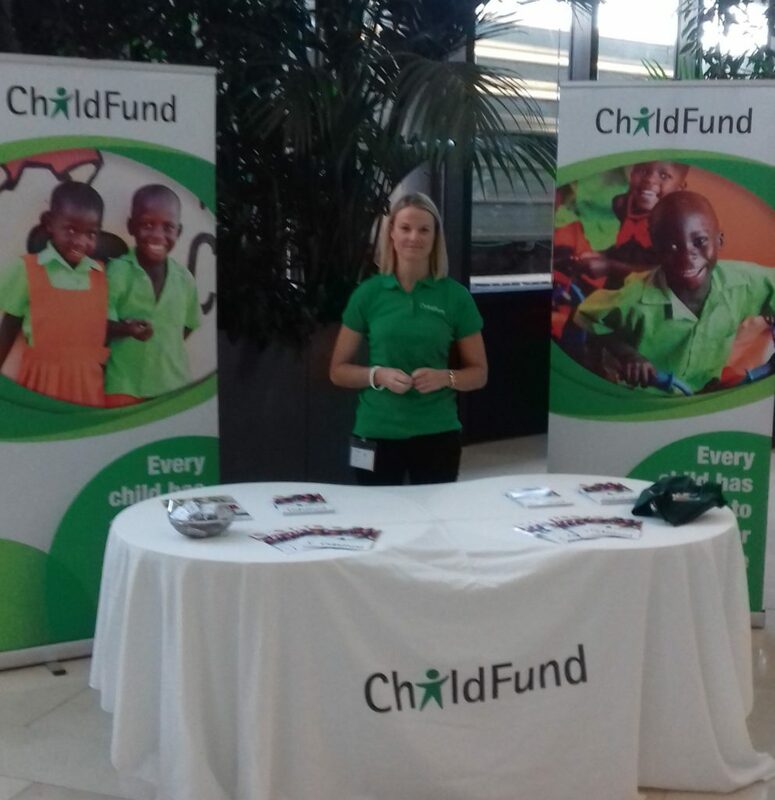 ChildFund was delighted to support our partner, Bank of Ireland Staff Third World Fund (BOISTWF), in a an awareness raising event at the banks impressive Grand Canal offices. The Fund is essentially a charity that is supported by staff donations, and which in turns helps fund the work of NGO’s in the field like ChildFund. Our partnership with BOISTWF dates back nine years. In that time the Fund has supported more than 30 of our projects across 7 countries. Thanks to the generosity of Bank of Ireland staff, more than 300,000 people have directly benefited, and many more indirectly. It was an honour therefore to help BOISTWF generate awareness among staff and to help them to see the amazing difference their support can make. “for people who support the Fund or are thinking of supporting it, I want to say simply this; it is impossible to overstate the impact your support can have on the lives of people who have so very little. It is only really when you go and visit impoverished communities in places like Ethiopia or Uganda, and see the impact even relatively small amounts of money can have on people’s lives, that you can truly understand the impact of your generosity. Quite simply, it is life-changing”. 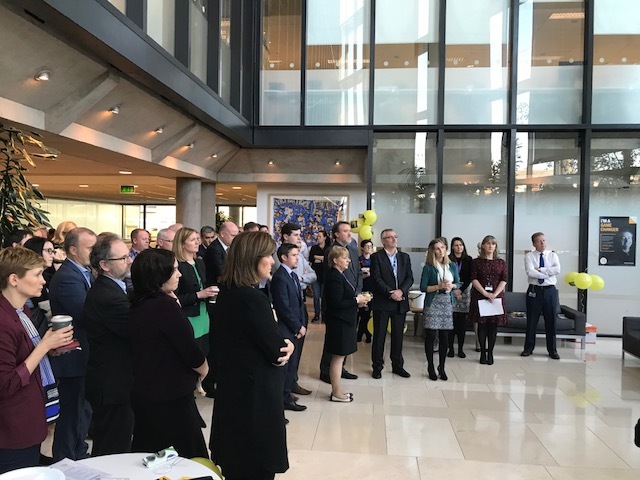 “thanks to the generous support of Bank of Ireland staff, we have been able to assist children and their families in countless ways that have helped make a huge difference to their lives. I want you to really think about the value and nobility of contributing to the Third World Fund”. It was a fantastic opportunity to meet and speak with staff, and to raise awareness about our vital programme work overseas. ChildFund Ireland would like to sincerely thank Una and Nick from the BOISTWF for inviting us to support the event and promote the Fund to staff. We would also like to thank Fintan and Ronan from Bank of Ireland for their generous assistance and hospitality on the day.